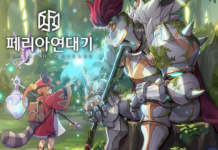 Vespa, the Korean developer which rose to prominence in recent years due to the global success of mobile RPG King’s Raid, has purchased fellow Korean studio Cocoon Games. Founded in 2013, Cocoon Games made a couple of mobile strategy games, but did not find success in the market. However, one of its games, Breath of War, was actually once soft-launched by Nexon last year. 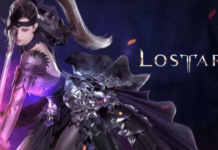 Cocoon Games is now working on a new version of Breath of War, and Vespa saw an opportunity to expand beyond just King’s Raid, its only game now. The strategy MMO genre is very lucrative with successful apps such as Game of War, Final Fantasy XV: A New Empire, Lords Mobile and many more. As part of the merger and acquisition (M&A) deal, Vespa has obtained 80% of Cocoon Games and 20% of its former employees. Cocoon Games will continue to operate as an independent studio while utilizing Vespa’s resources and experience to launch Breath of War into the global market.